I held her hand as she passed on. I kissed her forehead and told her it was okay. I expect her to be there when I get home. She's not there. I look for her calls during the day. They don't come. I leaned over her and gave her a kiss on the cheek. I said, "I love you". She said, "I love you too. I love you all." I think she left then. Her body stopped working Thursday afternoon. I know I’m going to miss my grandmother. We are going to fill our hearts up with memories and pictures to make us feel better knowing that she is still there for us. We may not be able to see her, but she is still in our hearts. She fought through cancer to be with us as long as she could which was very inspiring. She took Connor, Emma, and me to Disneyland to give us good memories. Every time my sister and I spent the night, we would go up in her bed and have a talk. We called them our Hannah-Nana-Emma talks. We learned so much about each other…it was a golden ticket to our hearts. Some more memories are her flying down to San Bernadino for my brother’s baseball game, making bread with her when I was a little girl, and our holidays together. I will always remember that smile on her face whenever she saw me. She was a wonderful person to us all. Thank you….in honor of my Nana…Go Pack GO! Linda with the laughing eyes! Even as we went hand in hand to the ice cream store! Even as we walked in the park! Even as we went to the zoo! Even when she went to school! Even when she was sick, the eyes sparkled! Even when she noticed boys, the eyes dazzled! Even when she fell in love! The eyes had it and everyone knew it! When the son came, the eyes fairly exploded with delight! The eyes dimmed with unhappiness! Starting anew was hard, but the eyes had it again! The eyes lite up bright with the training! Especially when a new light came into her life! Marriage followed romance and the eyes danced! The daughter came and the light in the eyes fairly exploded with joy! Adventures abroad and service to county followed and the eyes had it. Still! Return to home soil and new adventures began, the eyes showed it! The grand babies began and the eyes gleamed as never before! Fun, love and joys followed for many years! There were few tears and nearly always the eyes shone bright! Through births, weddings and trips throughout the world, your eyes have shone the brightest! "Luke" as you are known to oldest brother Mel. We all know that you lighted our lives with that smile from beginning to end! We will all remember it forever! When I think of my dear friend Linda, I can't help but remember the wonderful evenings I spent with her when I visited for Thanksgiving or Christmas both in Washington and Idaho. Linda and I could revert back to being silly children when we were alone. We felt light as air and could forget all our cares during those evenings. Many nights we sat up well after everyone was asleep and over a glass of wine, we laughed and giggled and got very silly, poured our hearts out to each other and solved the world's problems (in our minds anyway) ... ALL IN THE SAME EVENING. Linda opened her heart and her home to me from day one and we quickly became very close. I will always remember and love the way she was always there for Nick and Sarah whenever they needed advice or encouragement ... and I remember that throughout the years, she has always let me know how Nick was doing because she understood that I worried from afar. I will always remember that she cared enough to think about that. Linda was there for everyone in the family whenever they needed her ... she was a very caring, giving person, with a very sensitive heart. I am proud that Linda considered me one of her good friends. I remember how she has told me many times how she felt blessed that Nick and Sarah brought so many people into her life and I feel the same. It's as if all the roads travelled by Nick was meant to lead to Sarah's door and Linda and I marvelled at the idea that I was born thousands of miles away from her in Ireland and somehow our paths in life lead us to each other. Reminds me of an old Irish saying: What's For You, Won't Go By You. I will always remember my wise friend Linda with her head thrown back, laughing giddily at some silly thing we said to each other. I will also remember the wonderful Christmas and Thanksgiving dinners she made and the care she took ... oh, and those wonderful pies that she and Dale made. I will also remember the joy she took in her family, and especially how she took care of her Grandchildren and how she adored them. I will remember her heart of gold and outstretched arms in welcome when I arrived to visit and how she called me Annie. I will also remember her wise words forever. I remember that Linda knitted me a very nice Afghan type Shawl, which I now treasure and which I use almost every night when I sit out in the garden when it is a bit chilly. When I wrap that Shawl around my shoulders, I can feel the love and the care that went into every click of the knitting needles, and I will treasure it forever. Makes me think of and feel close to my friend, Linda. I could go on and on, but I don't want to fill up the whole space, I'll just end by saying that my memories of Linda are of a beautiful, warm, sensitive human being and I feel honoured to have been her friend. Below is the video slideshow we showed at mom's memorial service this afternoon. "What have I learned over these months? Don't sweat the small stuff, get over your tiny life crisis and just live. Enjoy the people you love, avoid those that cause you grief. Life is truly too short and there is no reason to hamper yourself with those people who do not have your best interest in their hearts. Laugh as often and as long as you can, it is really good medicine. Hang with your grandkids, your kids and listen to them. Soak in their personalities and savor each moment with them. Love your husband or your significant other with all the gusto you can muster. Remember that those you love also love you and this disease is just as hard on them as it is on you. I try to remember that the people I love will have grief long after I have been relieved of life's burdens. I must be kinder to them. I must give them the best memories I can possibly make for them. And I have also learned that all those I worry about are much stronger than I assumed and that I don't have to hide my illness, my pain and my bad days from them. They can handle it. I have learned that I am incredibly lucky to have such wonderful amazing people in my life. My friends are truly blessings. My family, well they are why I am still here and I promise to stay as long as possible. Love YOU ALL." 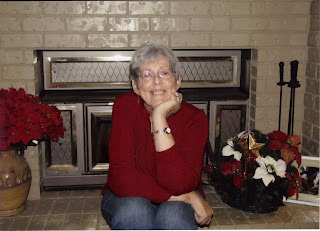 Linda Mangum Anson passed away January 13, 2011 after a long fight against cancer. A Memorial service will be held 2:00 pm, Saturday, January 22, 2011 at Cloverdale Funeral Home with a reception immediately following in the Cloverdale Reception Center in Boise. She was born February 26, 1947, in Nampa, to Melvin and Melba Mangum. Linda called Boise her home, even though she lived in a number of places throughout her life. She attended Capitol Elementary and South Junior High in Boise, ID, graduated from Kennewick High School in Kennewick, WA, and received her degree in engineering from Clark College in Vancouver, WA. She met her husband, Dale, while working together on a survey crew. They were married June 16, 1979, and moved back to Boise. From there, Dale joined the Army, which let Linda and her family live in North Carolina, Italy, and Germany. In 1992, with Dale out of the Army, Linda worked at the University of Idaho, in Moscow, and later held several positions in human resources in the Seattle area, eventually becoming a certified Professional in Human Resources and vice president of HR at her company. She is survived by her mother, Melba; her husband, Dale; her children, Jamison (Carin) and Sarah (Nicholas); and grandchildren, Connor, Hannah, Emma, and Benjamin. The family requests that donations be made to Susan G. Komen for the Cure in lieu of flowers. 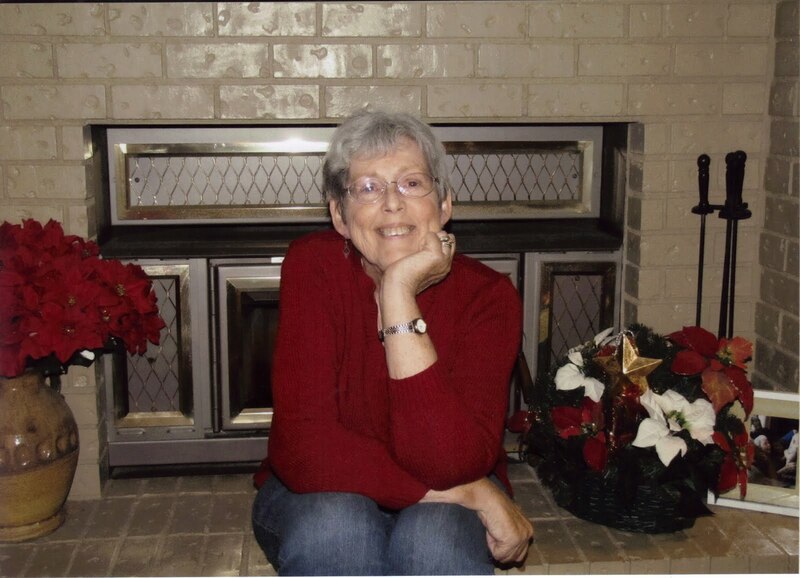 The memorial service for Linda will be held at the Cloverdale Funeral Home on Saturday, January 22, at 2 pm MST. Go left/north on Eagle Road about 1/2 mile to Franklin. Go right/east on Franklin about 1 mile to Cloverdale Road. right/east side of the road.